Ready to invest? Simply choose an investment plan that suits you and we’ll get you started. 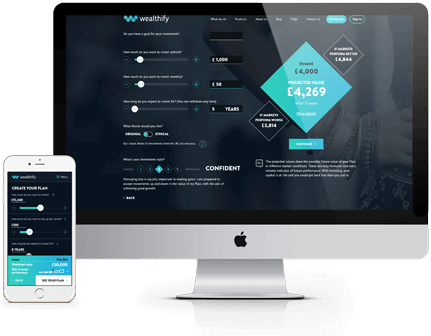 Sign up takes less than 10 minutes on any digital device – simple decide how much you want to put in, how long you want to invest for and which risk level suits you. Check your investments 24/7 via the app, monitor your performance or top up any time you like. You can even withdraw your money, if you need to. Lower your annual fee by starting a Circle and inviting people to join. If you have any questions, or just want to speak to someone, our super-friendly customer service staff are on-hand to help. Effortless investing for everyone.